Quest PharmaTech is a publicly traded, Canadian based pharmaceutical company developing a range of in-licensed products to focus primarily on dermatology. The Company through its subsidiary, OncoQuest, and its Chinese joint venture, OncoVent, is developing antibody-based immunotherapeutic products for cancer. Shenzhen Hepalink Pharmaceutical Group Co., Ltd. (www.hepalink.com) is publicly listed on the Shenzhen Stock Exchange and a global leader in the manufacture and development of Heparin Sodium API. The Company is the leading supplier to multinational pharmaceutical companies such as Sanofi-Aventis, Fresenius Kabi and Novartis. Shenzhen Hepalink is also actively expanding its operations and investments in pharmaceutical development and manufacturing operations in North America. 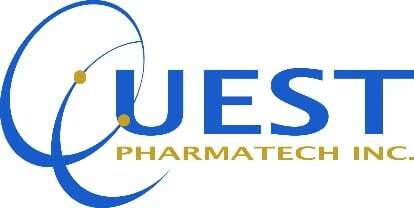 OncoVent is a joint venture between Hepalink and OncoQuest in which OncoQuest owns 29%. OncoVent, led by Eric Shi, who sits on OncoQuest's Scientific Advisory Board, is seeking to commercialize OncoQuest's portfolio of assets in China.